Sometimes fundraisers stop generating value. Good booster clubs must know when to kill them. For booster clubs, the graveyard reminds us to bury fundraisers. Two types of flavors push daisies, those that have run their course, sometimes after a decade, and those that never quite worked, even after many months on the market. 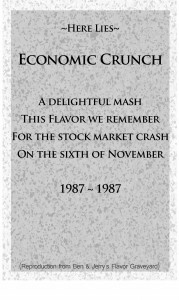 “Economic Crunch” is an example of the latter. 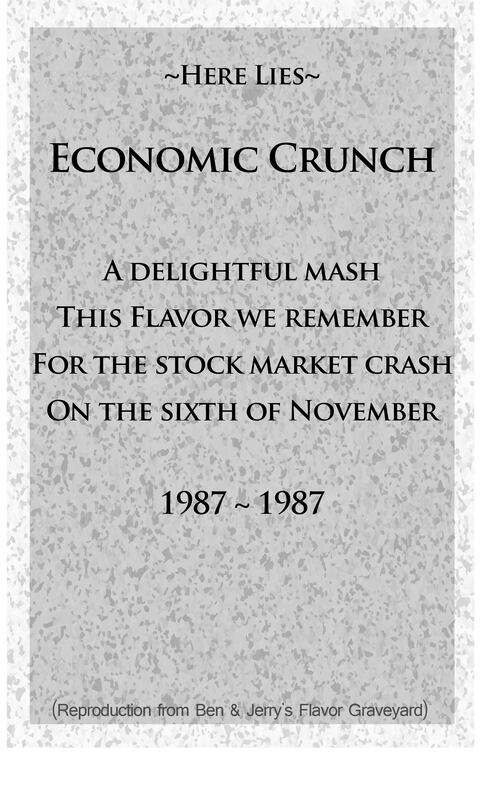 Ben and Jerry’s promoted Economic Crunch for about one year. They experiment with novel flavors like this to see what might take hold. Like Ben and Jerry’s, innovative booster clubs try things out. In a future post, I’ll write about patience in creating new fundraisers and creating traditions. Unlike ice cream flavors, they often need more than a year to test their potential. In this post, however, I want to introduce ways to talk about phasing out a fundraiser that has clearly failed to function. Is the execution of the event becoming more or less effective? Does it happen too often? And if it happened less, would a similar amount of attendance be achieved? What social role does it play beyond fundraising? What changes could be made to make it more effective? How could the event be effectively phased out or turned into something new? Just because that golf fundraiser was discontinued doesn’t mean that it was a failure. It’s important to keep that in mind when discussing the decommissioning of an event with fellow volunteers, especially when they might be emotionally invested in an event. So when broaching the subject of phasing out a fundraiser, acknowledge the contributions it brought in the past. The golf tournament, for example, raised tens of thousands of dollars over a period of a few years. It also created relationships with businesses that want to support the raffles. That is, the new fundraiser built on existing groundwork.Emotional sensitivity is one thing, but there’s another problem to killing fundraisers: inertia. People tend to fear change, and venerate their predecessors, even when their predecessors were also flying by the seat of their pants. 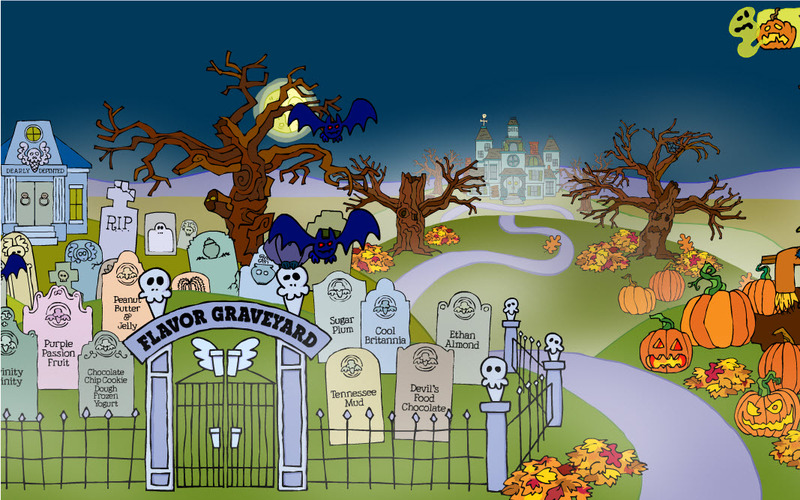 The strength of the Flavor Graveyard lies in the knowledge that ideas are mortal. There may come a day when even Cherry Garcia stops flying off the shelves (I hope not!). Likewise, booster club officers might finally realize that bake sales are usually a waste of time (I hope so!). I hope I don’t give the impression that booster club events, like ice cream flavors, can solely be assessed by the funds they raise. There’s more to a booster club event than that. Consider again that golf tournament that I mention above. Was it a lively tradition of the club, attended by dozens of supporters and students each year? What if the only cause for the drop in revenue was sponsors, not attendance? In that case the golf tournament could have been preserved, not as a crucial fundraiser, but primarily as a community event. A good booster club values both, but knows the difference between the two. For more on tracking intangibles like community spirit, as well as tangibles like financial indicators, check out the series on metrics. Looking for fundraising ideas? Here are over 90 fundraising ideas. 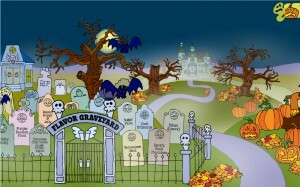 Photo Credit: Flavor Graveyard from Ben & Jerry’s website.